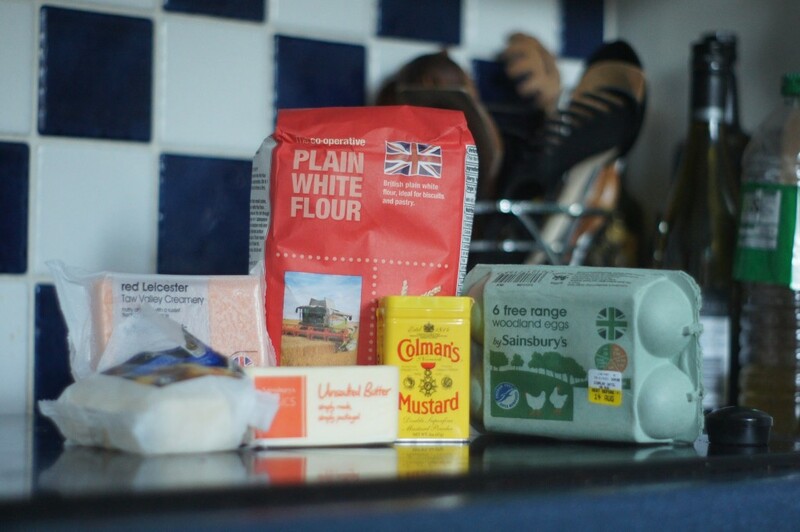 1) Preheat the oven to 200C/Fan 180C/Gas 6. 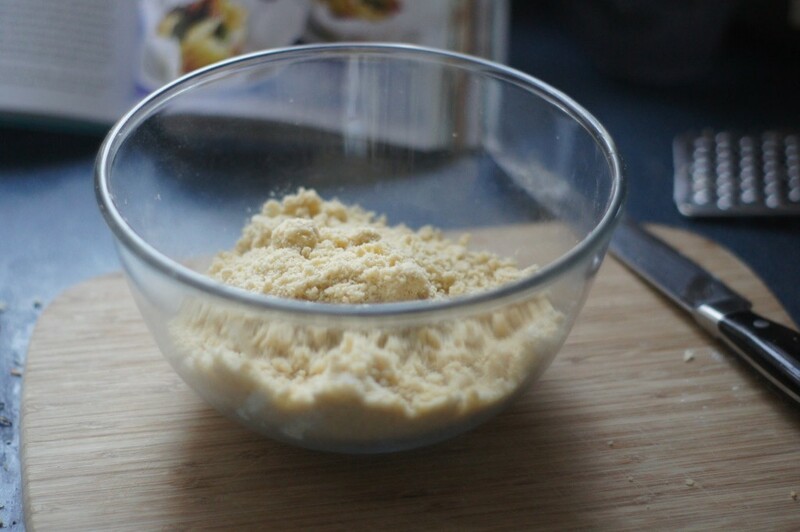 2) Rub the butter into the plain flour until you have a mixture that resembles breadcrumbs. 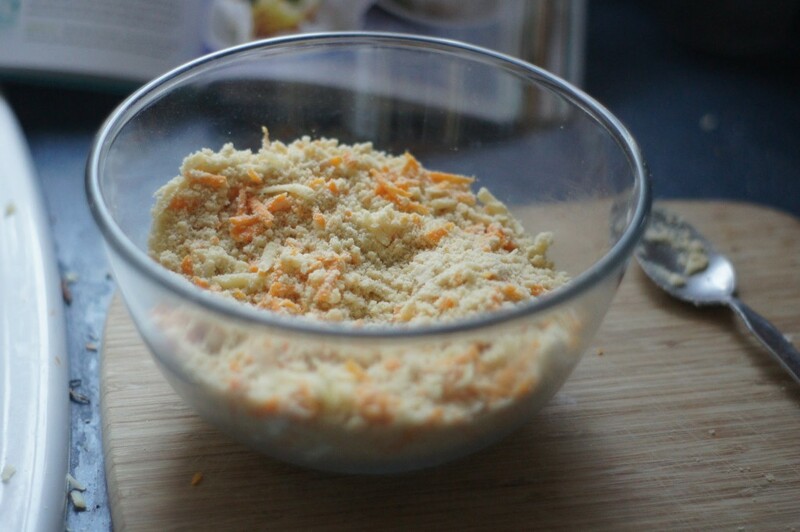 3) Stir in a pinch of mustard powder and the grated Cheddar and Red Leicester cheese. 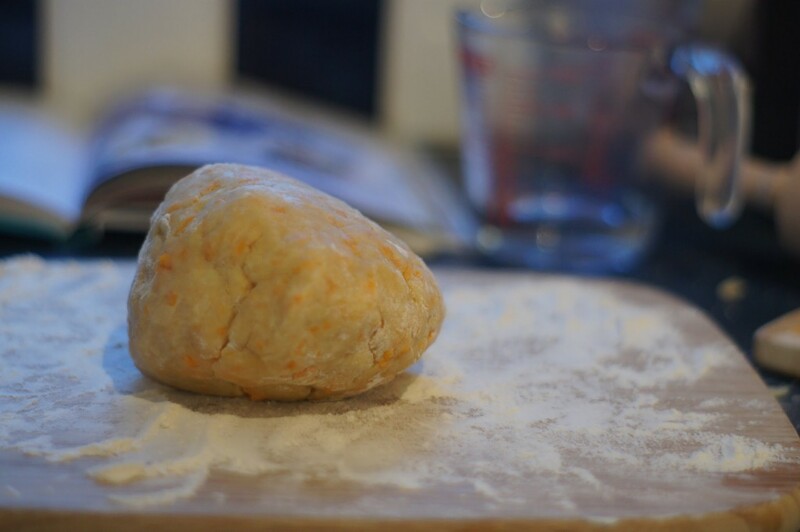 5) On a floured board, roll out the pastry into a large rectangle. 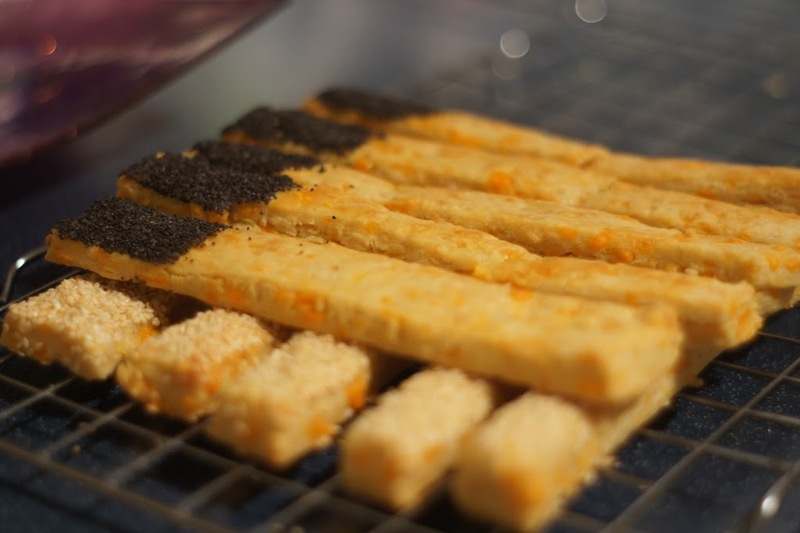 Cut into straws about 3/4cm thick (I found getting the width right most difficult – I had some very fat cheese straws!) 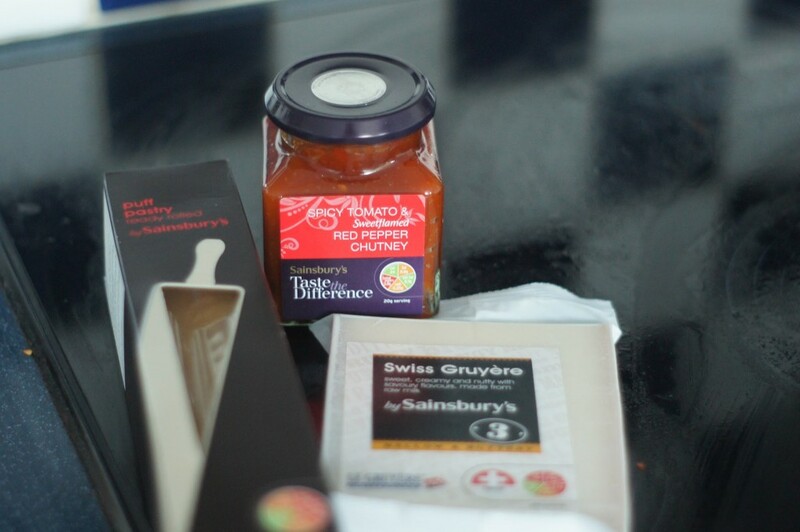 Brush with beaten egg and dip in poppy seeds or sesame seeds. 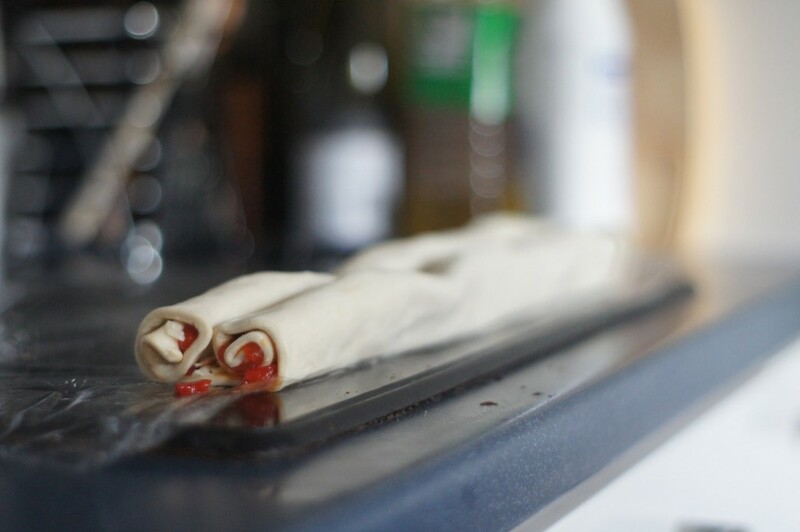 6) Bake on a non-stick tray for 15-20 minutes until golden and crisp. 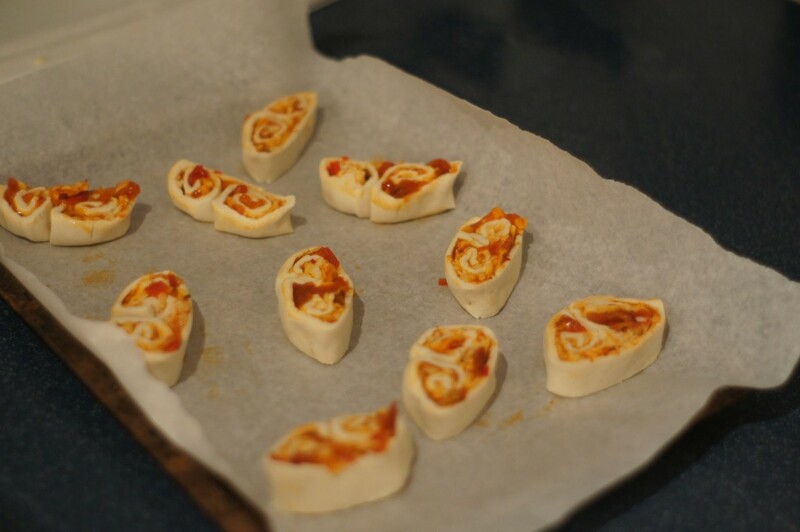 1) Unroll the puff pastry and spread with the tomato chutney. 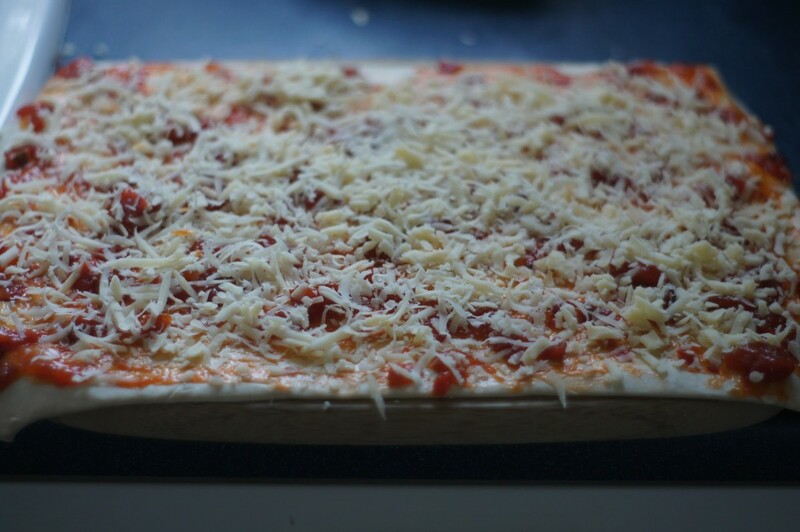 Top with the grated Gruyere cheese.